Tsuyoshi Maekawa became an official member of the avant garde Japanese art group Gutai in 1962, and was active in the group until it ended in 1972 when the group’s leader, Jiro Yoshihara, died. From the early 1960s on, burlap has been Maekawa’s signature material, and the artist continues to find new ways to unearth its expressive potential. 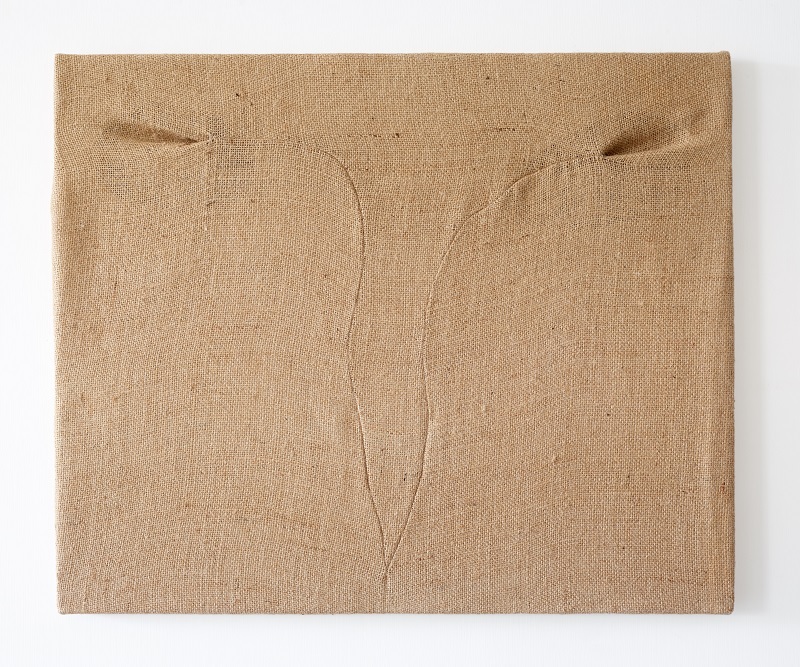 Maekawa has always eschewed the use of burlap as a backdrop for painting, but instead has reveled in its abstract potential by cutting, folding, tearing, and painting the coarse, yet versatile, material. Here, the artist has stretched, folded, and sewn together the coarse fabric to create a simplified geometric composition. The linear weave of the fabric is activated by the process, creating a wavy, chattered grid among the delicate sewn lines that results in a work that is both sculptural and painterly. Maekawa’s work has been the subject of solo and group exhibitions at Guggenheim Museum, New York; Fortuny Museum, Venice; National Museum of Art, Osaka; and Jeu de Paume National Gallery, Paris, among many others.